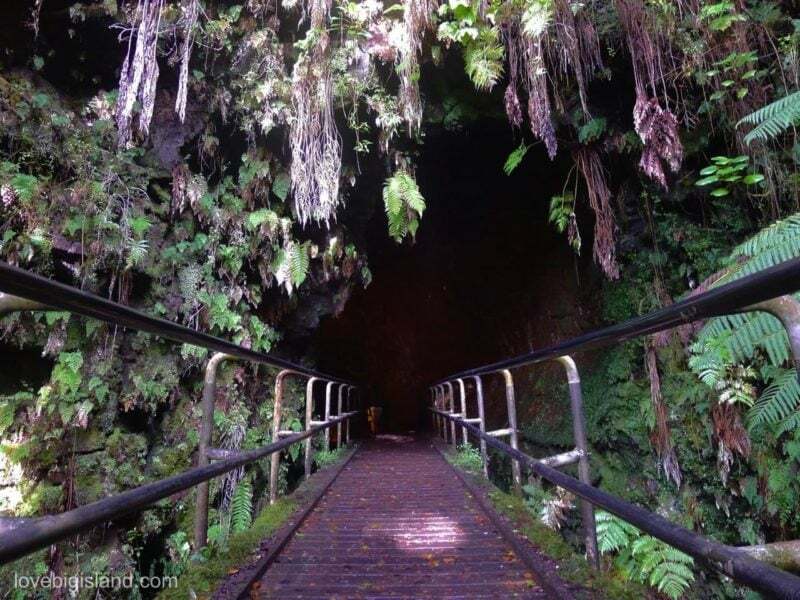 Nāhuku, better known as Thurston Lava Tube, is a large lava tube that had a river of red lava flowing through only a few hundred years ago. To get there you’ll need ~20 minutes (round trip) from the parking lot for an easy, 1/3 mile walk. You can see the entrance to the tube below. The Kilauea’iki crater is home to our favorite short hike on the Big Island: the Kilauea’iki trail. This trail located in the middle of the Hawaii Volcanoes National Park will lead you through a lush ohia forest down into the Kilauea’iki crater, straight over the fractured crater floor and past hot and steaming vents. The crater floor was formed in 1959, and you can see signs of that eruption everywhere. Hikers cross the floor of the Kilauea’iki crater in the Hawaii Volcanoes National Park. Find more information about this hike at our favorite short hike compilation. 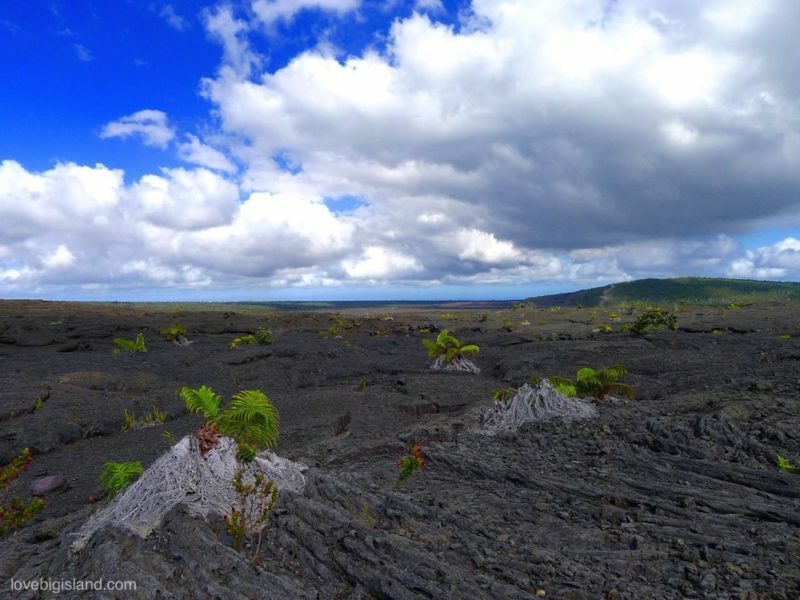 A short 0.8 mile drive will take you from the Kīlauea Visitor Center to the steam vents. Here, ground water seeps down to the hot volcanic rocks and returns to the surface as steam with a distinct, sulfury, smell. To get to the place where the following picture was taken, you have to take a short walk to the caldera’s edge. This place is called the “steaming bluff” (in geology, a bluff is a high, steep bank, as by a river or the sea, or beside a ravine or plain). 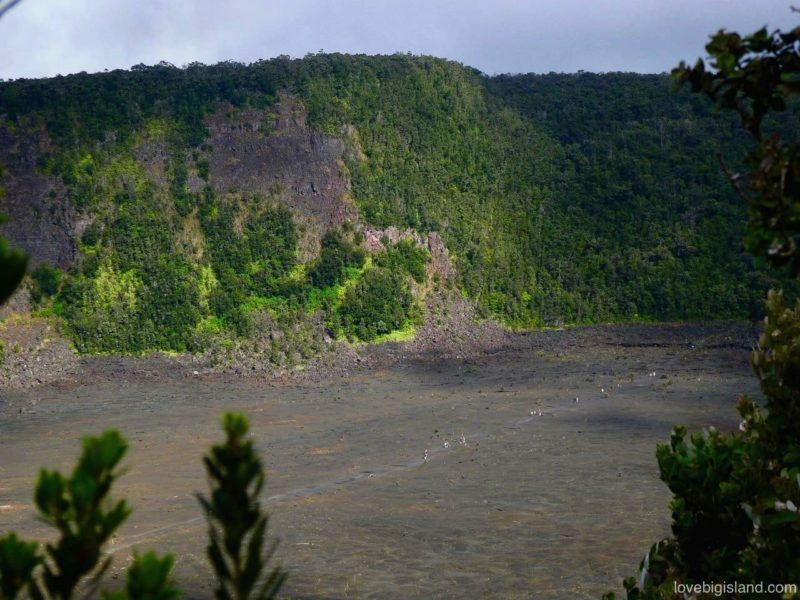 You also have a grand view over the Halema’uma’u crater. The Pu’u O’o has been erupting since January 3rd 1983. This still on-going eruption has produced a broad field of new lava flows that have buried over 45 square miles of the volcano’s south flank, and added more than 230 hectares of new land to the island! 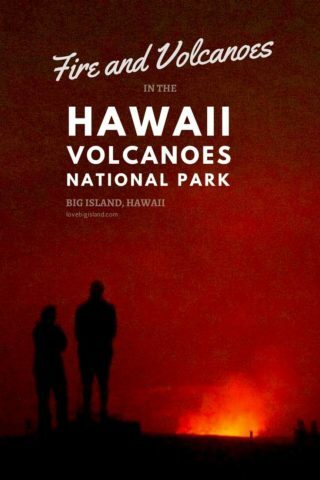 The closest you can get to this crater is by hiking the Nāpau Trail in the Hawaii Volcanoes National Park. This 14(!) 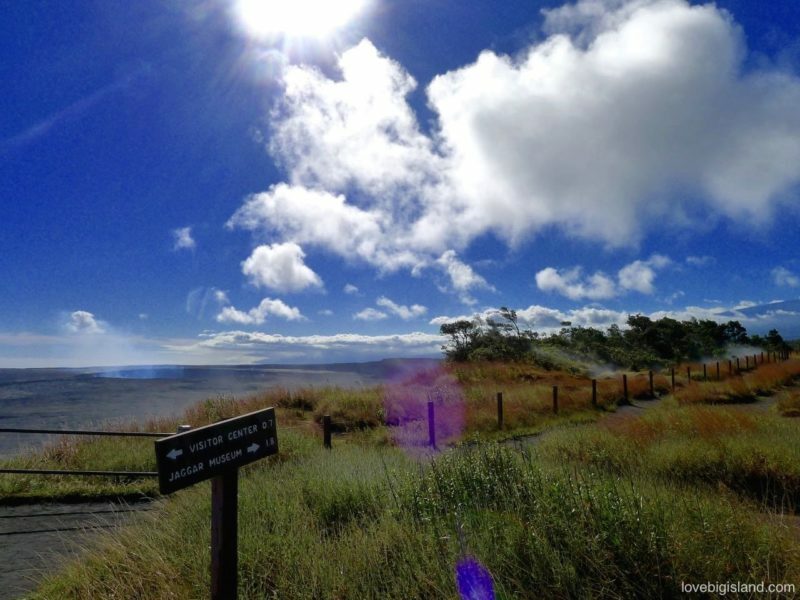 mile round trip (7+ hours) trail provides opportunities for hikers to experience a diversity of environments in Hawaiʻi Volcanoes National Park and leads through varied terrain ranging from recent lava flows to dense tree fern rain forests. The following picture was taken from the endpoint of the Nāpau trail hike. 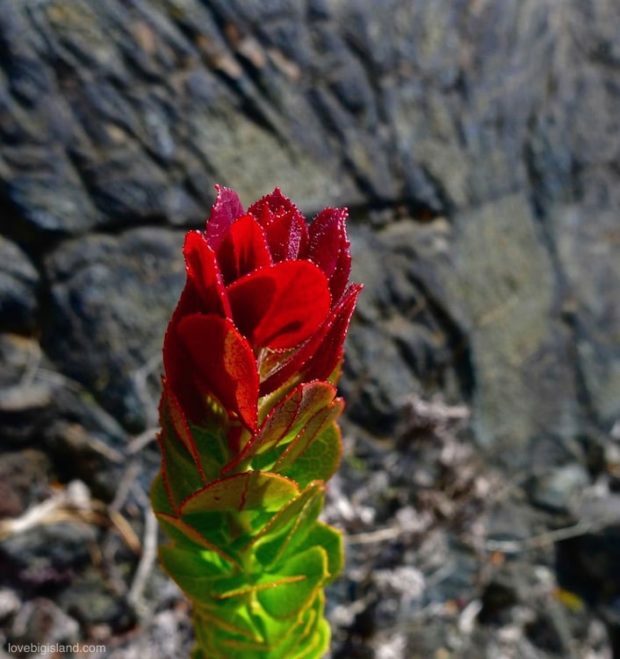 Have a look at the bigislandhikes description of this hike if you are interested in making it there yourself. As the Nāpau trail takes you beyond Mauna Ulu, these ‘Ama’u (ah-ma oo) ferns colonize the recent lava flow. Unlike their close siblings, the Hāpuʻu Fern, the ‘Ama’u ferns are well equipped to survive this harsh landscape. In the background you can see the the Makaopuhi crater, the red-green shrubs in the foreground are ‘Ōhelo (oh-hello). 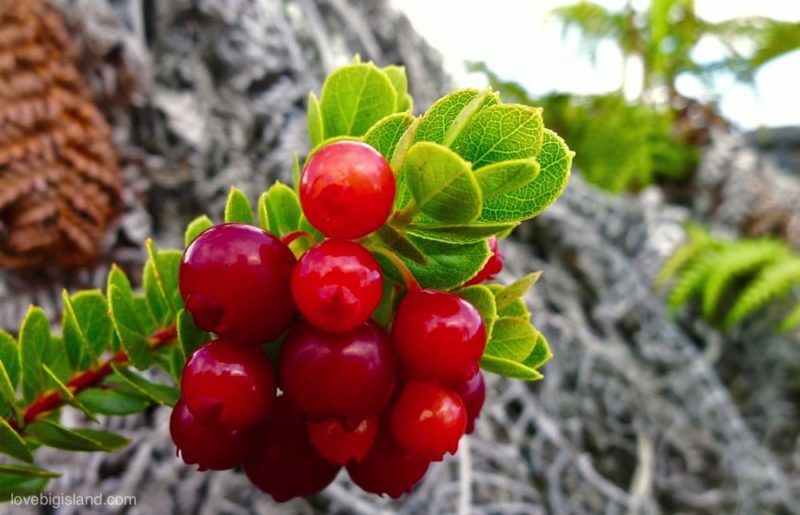 These berries are a favorite food of the endangered endemic Nēnē geese, and is also used by the locals to make a delicious jam!